In Germany, the potential for Euroscepticism is increasing and the hitherto generally predominant and distinctive pro-European consensus has begun to crumble. This has also opened up room for populist Euroscepticism, which is supported more by emotions than by actual facts and truths. 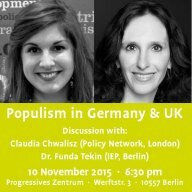 Before this background and proceeding with the assumption that Euroscepticism does not, per se, have to entail a destructive effect, the Institut für Europäische Politik has begun a project in cooperation with the Progressive Zentrum that will contribute to the rationalization of the European debate in an enlightening manner. In this sense, “The Truth about Lies on Europe” brings out the prejudices in the German debate on Europe and checks the arguments of Eurosceptics for their truthfulness. Afterwards, the results will be provided to relevant decision-makers in politics and civil society. Rationalization of the debate on Europe with the help of a systematic and analytically grounded deconstruction of false claims, bogeymen, and prejudices. 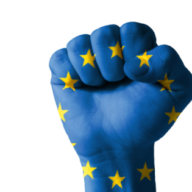 This content analysis of currently relevant themes, such as the Euro, TTIP, foreign affairs, and economic, social, asylum and migration policies, shall contribute to a differentiated and greater understanding of European integration. 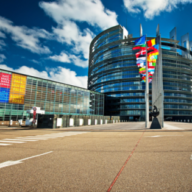 To this purpose, Eurosceptic claims will be comprehensively gathered and analyzed in the light of the following questions: What are the contents of Eurosceptic and populist statements and claims? Of these, what are “real truths” and what are “simple truths,” which in the face of a multilayered, complex, and highly interdependent reality are actually misleading? How do these arguments change over time? 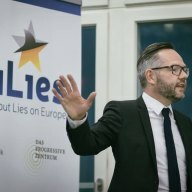 Transfer of the analysis results to society via active communication and interactive discussion with the political sphere, civil society, and the wider public in German over the “Truth about Lies on Europe”. The compiled results will in so doing be further developed. Those setting policy into practice can then contribute an important perspective through their daily interaction with the phenomenon of Europopulism, something which would be closed off to a purely scientific consideration of the topic. For this transfer of analysis results far across the borders of science, the IEP is cooperating with the DPZ. In order to achieve the project goals, a series of expert and dissemination workshops and lunch debates will be organized. Furthermore, there will also be scientific publications and interactive online debate contributions. The Truth about Lies on Europe is supported by Stiftung Mercator. Please find further information about the project online: www.trulies-europe.de. An overview of 17 fact sheets that contextualize and examine eurosceptical statements, is available here. Gisela Müller-Brandeck-Bocquet’s contribution to the TruLies blog is now available online.